One might ask, “Are all poor countries more open to private investment?” No. However, in nations like Belize, there is a greater problem of overall government mismanagement, which can lead to illegal private investments typically going unnoticed or unpunished by government officials. According to the U.S. State Department, Belize has a complete catalogue of rules and regulations that should be serving the purpose of monitoring various government investments. These regulations include such measures as the Fiscal Incentives Act, Export Incentives Act, the Export Processing Zone Act, Commercial Free Zone Act, International Business Companies Act, the Trusts Act, Offshore Banking Act, and theGaming Act and Companies Act, which “offer some attractive incentives to investors, but in practice these incentives are often not realized.” This means that while Belize has taken measures to prevent underground ventures from happening, its constituents are failing to realize the power of the current laws and the potential negative consequences of not adhering to them. Hence, this shows the vulnerability of the state and highlights the money laundering issues facing Belize. As previously cited, Belize is a hot spot for these illegal activities of creating, storing, and disguising offshore accounts. While it is not a country that is rich in resources, Belize does have high mineral production in clay, limestone, marble, sand, and gravel, all of which form the greater part of its construction industry. According to the Ministry of Tourism and Culture (MTC), Belize’s thriving mineral industry is one of the nation’s biggest attractions for overseas’ investors, along with the country’s beaches and resorts. The MTC also states that “the government supports joint venture[s] and partnership investments as a preferred mechanism; however it also allows 100% foreign ownership of an enterprise,” which is a power that is currently being abused by commercial businesses looking over Belize. These resources, along with the country’s natural allure and fairly remote locations, draw visitors from near and far, adding to the appeal of illegal fund transfers. While private investment does not necessarily mean corruption, in the absence of an effective power structure, corruption is imminent. Therefore, the total number of private investments allowed within the country needs to be monitored and controlled by the government. Since 2001, the United States has become more involved with regions of the world where these types of financial crimes are carried out. The U.S. government’s concern is driven by the fact that financial crimes have been known to fund terrorist organizations. In a report released earlier this year concerning money laundering and other financial crimes, the U.S. Department of State named Belize one of the world’s top locations in which financial crimes can occur .The report dives deeper, explaining that Belize’s government hasencouraged the growth of offshore financial banking while attempting to diversify its economy. However, due to the country’s weak government and ineffectual control of its financial sector, these monetary activities soon became vulnerable to financial crimes. Several news teams, courtesy of Al Jazeera, have found the source of the problem to be offshore businesses and lenders in Caribbean nations and remote islands. Due to the countries’ lack of resources, trade, and capital, these smaller nations are often willing to host, promote, and disguise questionable incoming funds in an effort to diversify their economies. Caribbean and island nations elsewhere in the world, in the past, have been hotspots for international corruption and money laundering among corrupt politicians, fugitives, and the like. More than 32 trillion USD “in private financial wealth is hidden in offshore havens — roughly equivalent to the annual output of the U.S., Chinese and Japanese economies combined.” The Investing.com article suggests that a company could be based in Seychelles, for instance, and the identity of the owner could remain completely hidden due to the concept of “putting ‘a company inside a company inside a company.’” Many offshore lenders are known to use this tactic. Such a structure allows businesses to hide in multiple places, such as in Belize, without a trace of their pre-existing businesses or professional ties. These nations are notorious for having shell corporations, which make accounts untraceable. Such industries have been extremely beneficial for politicians worldwide, and have been attributed to finance pirates, terrorist organizations, and other fugitives. 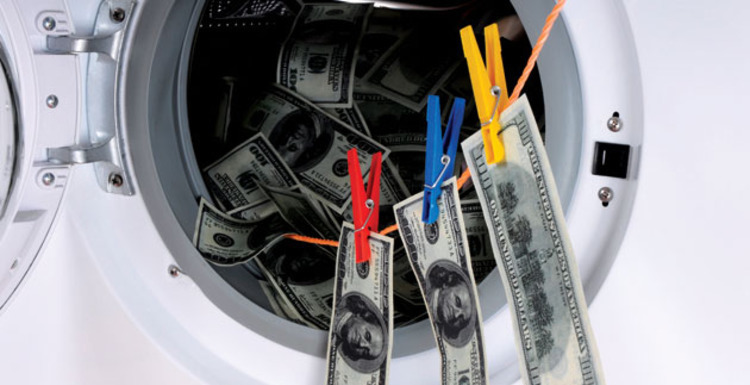 International organizations have begun to pressure Belize to take more serious steps towards preventing money laundering. The Caribbean Financial Action Task Force (CFATF), an organization dedicated to implementing “common countermeasures” to prevent money laundering, has argued that Belize has not made sufficient progress in creating preventative measures. The CFATF also claims that Belize has refused to comply or act fast enough. The group has gone as far as to call upon its member states to consider imposing countermeasures to protect their financial assets from financial risks in Belize. Belize has fired back against the allegations of inaction, citing its Domestic Banks and Financial Institutions Act (DBFIA) of 2012 as a serious step towards preventing financial crimes within its borders. On a positive note, the DBFIA did help strengthen the Money Laundering and Terrorism Prevention Act of 2008, which was passed by Belize’s Parliament. The DBFIA helped to improve provisions to govern domestic banks and financial institutions and strengthened Belize’s Central Bank’s powers to oversee and regulate the financial sector. However, as a result of weak governance and rampant corruption among elected officials, the act has not actually deterred criminals from carrying out their illegal financial activities. Overall, smaller nations like Belize are commonly used by foreign authorities, among other officials, to hide suspicious activities. With a weak central government, Belize has become especially vulnerable to financial crimes. In order to fix this issue, the International Monetary Fund (IMF), will need to enforce the Dodd-Frank legislation in order to prevent these types of situations from occurring in the future; and through the continued monitoring of countries like Belize, progress is expected to follow. If this legislation is not properly enforced or there isn’t any improvement, training should be provided to the respective government officials. In extreme cases, where there is knowledge of illegal activities occurring, international consequences should be set forth by the main governing entity and be enforced. That being said, change also must come from within. Though Belize has taken some steps in recent years towards ending money laundering, more must be done for the sake of protecting financial investments. For one, corruption within the government that allows these financial crimes to occur must be tackled first as one of the main roots of the problem. Oversight of the financial sector can also be increased through stricter regulations that can help deter financial institutions from promoting and hiding illegal fund transfers. However, due to the nature of international money laundering, it is also imperative that states continue to work together to abolish international financial crimes by establishing international laws and norms that can deter illegal investments from occurring. U.S. Department of State. “2013 Investment Climate Statement – Belize.” U.S. Department of State. http://www.state.gov/e/eb/rls/othr/ics/2013/204602.htm (accessed June 20, 2014). “Invest in Belize | Belize Investments | Property Investment Belize.” Invest in Belize . http://internationalliving.com/Countries/Belize/Invest/ (accessed June 26, 2014). Hudson, Michael, and Matthew Shaer. “Sun and Shadows: How an Island Paradise Became a Haven for Dirty Money.” investing.com (accessed June23, 2014). Moyers, Bill. “Bill Moyers | Wall Street’s Secret Weapon: Congress.” Truthout. http://www.truth-out.org/news/item/24395-wall-streets-secret-weapon-congress (accessed June 16, 2014). Markovich, Steven J.. “The Dodd-Frank Act.” Council on Foreign Relations. http://www.cfr.org/united-states/dodd-frank-act/p28735 (accessed June 17, 2014). “Domestic Banks & Financial Institutions Act.” Domestic Banks. https://www.centralbank.org.bz/laws-regulations/domestic-banks-financial-institutions-act (accessed June 17, 2014). “Money Laundering & Terrorism (Prevention) Act.” Money Laundering. https://www.centralbank.org.bz/laws-regulations/money-laundering-terrorism-(prevention)-act (accessed June 17, 2014).